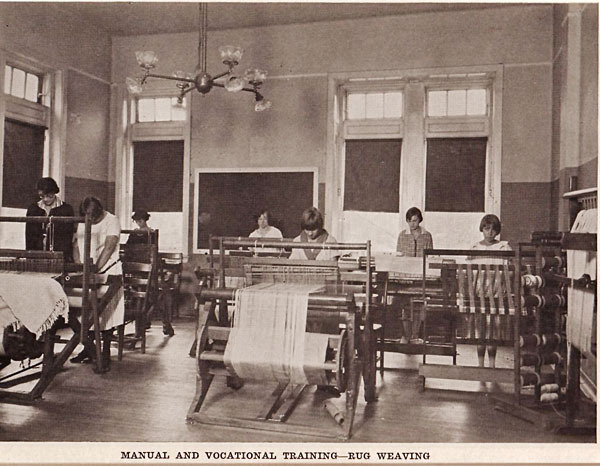 As with the farm, other industrial activities were dependent on the unpaid labor of Pennhurst residents. This unpaid work, nominally called "training," did provide people with meaningful activities and, often, a sense of self-worth. If these jobs led to movement out of the institution into paying jobs in the "real world," they would have been justified. Unfortunately, they led instead to continued life in the institution because the work done was necessary for the institution to survive. Shelly - Do you have or know of a disabled child/adult who cannot work?? DO YOU expect them to sit around all day doing nothing? Back then there was no TV. I'm disabled and would much rather being doing work even for free than NOTHING. Doctor K- I agree with you. These people were enslaved and abused and not even given the basic human rights we gave to prisoners throughout this entire 80 year disgrace - disgusting doesn't even begin to describe it. These patients probably represented dollar signs and that is about it. @Betty - Pennhurst was not a regular school where students were allowed to leave at 18. They had to qualify for 'parole'. At the time of Bill Baldini's 1968 expose, only 7 percent of residents were in parole programs. The vast majority had to spend their entire lives here.